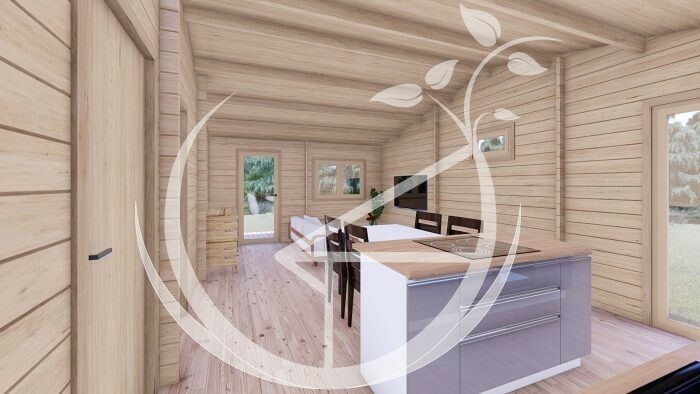 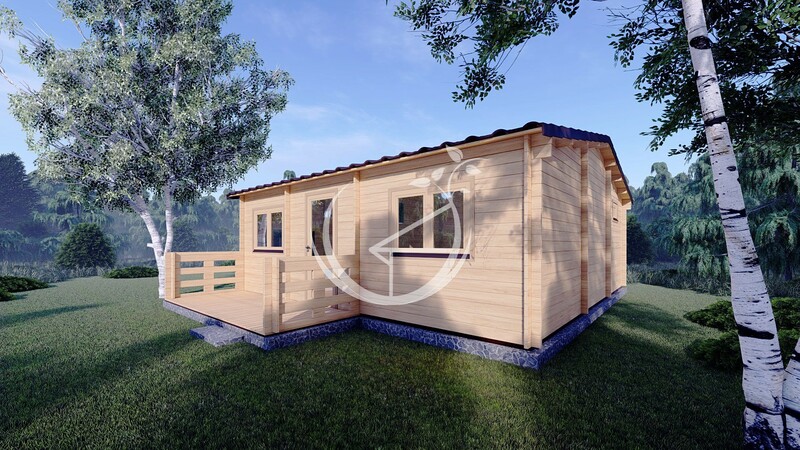 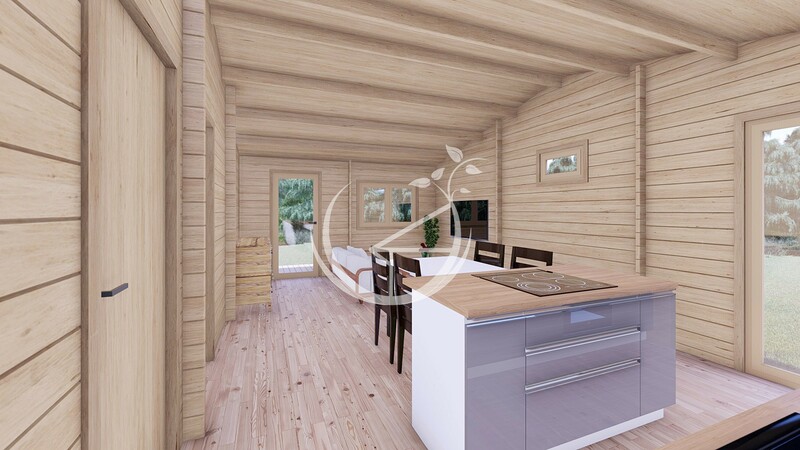 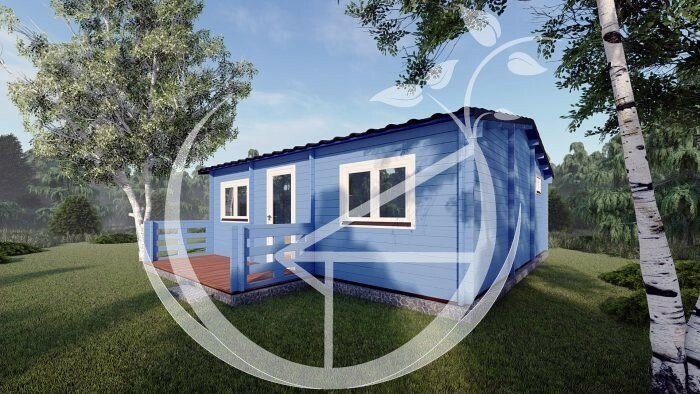 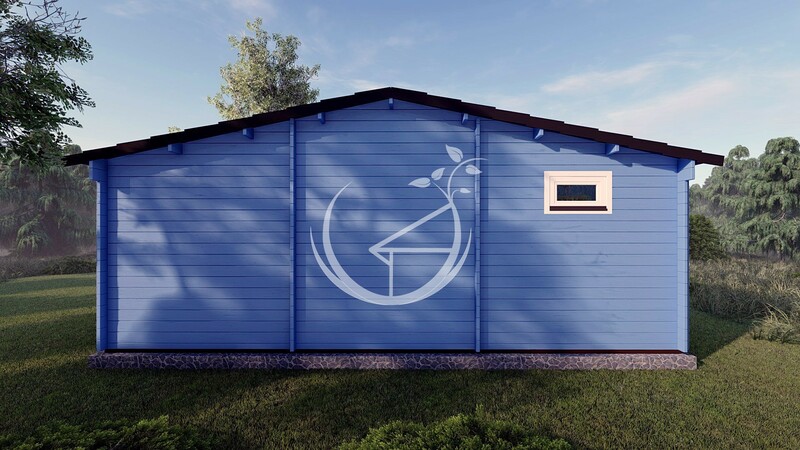 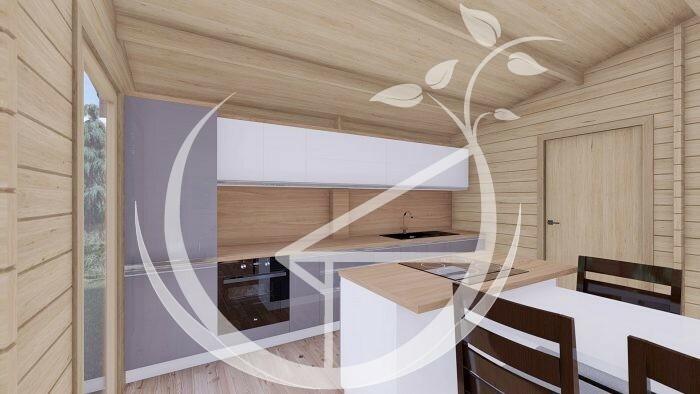 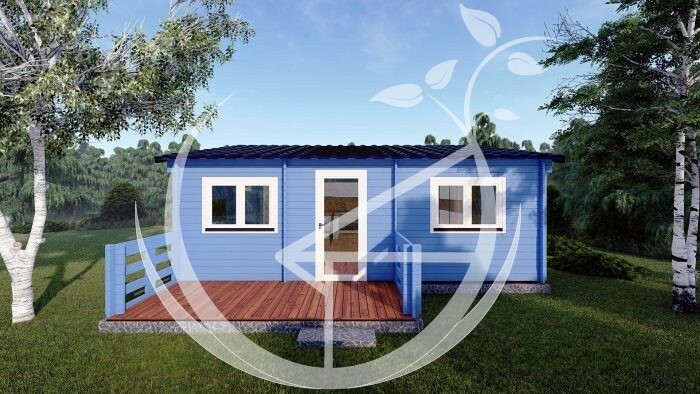 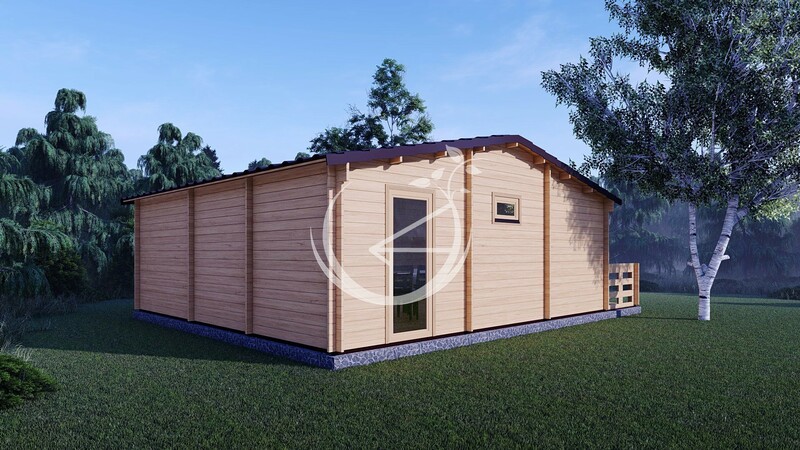 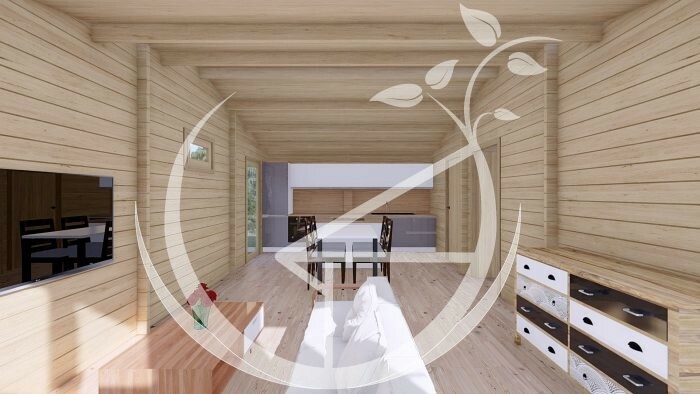 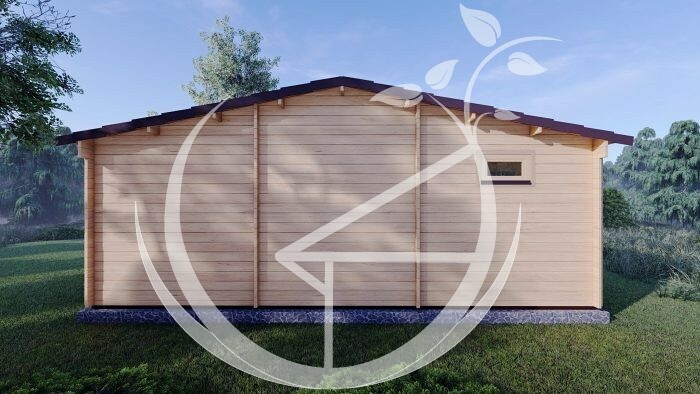 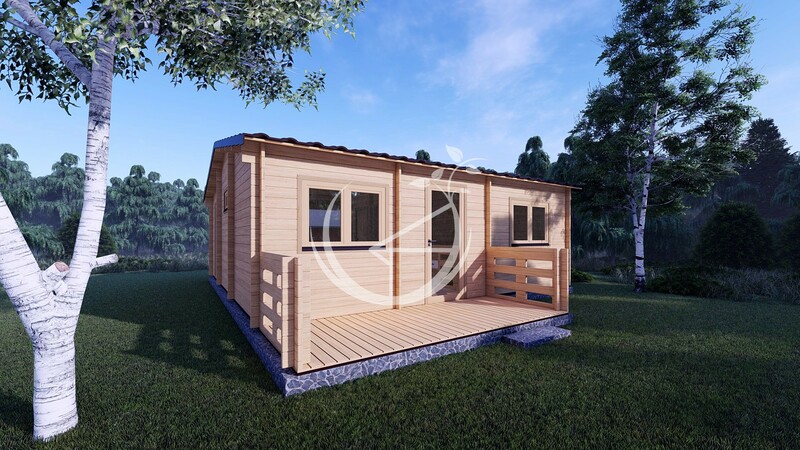 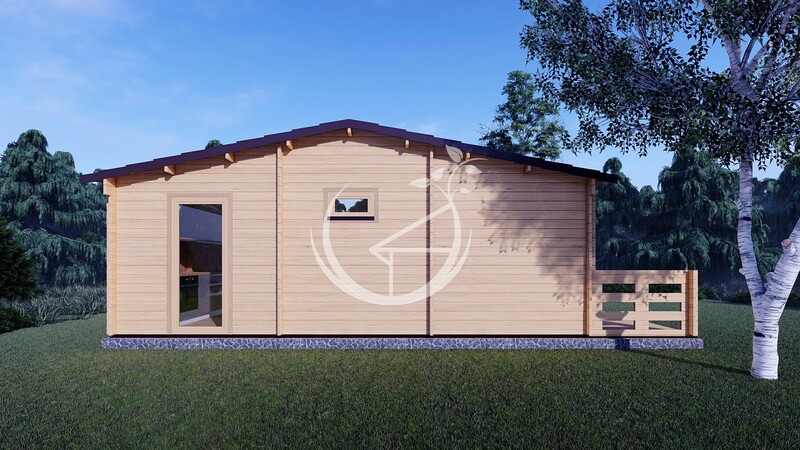 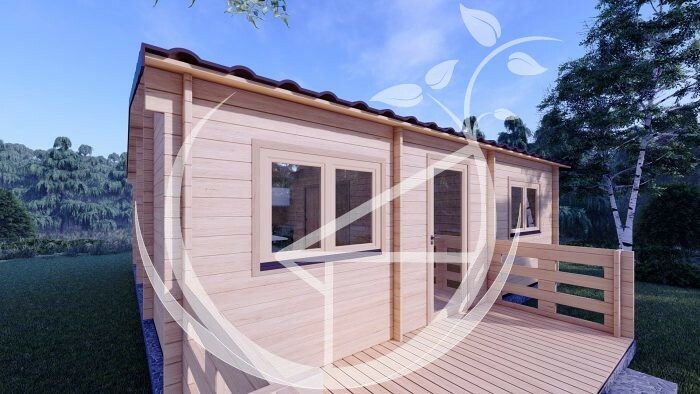 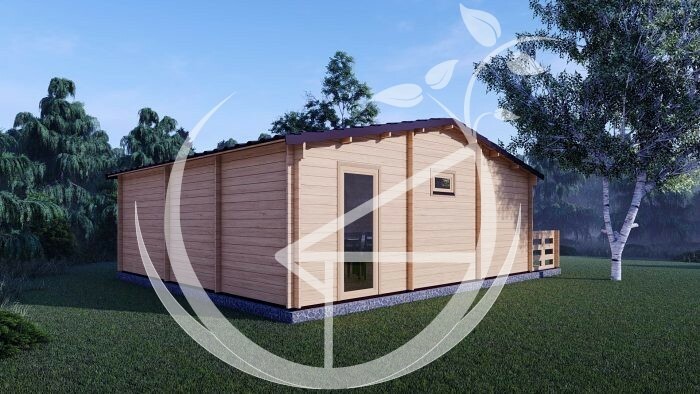 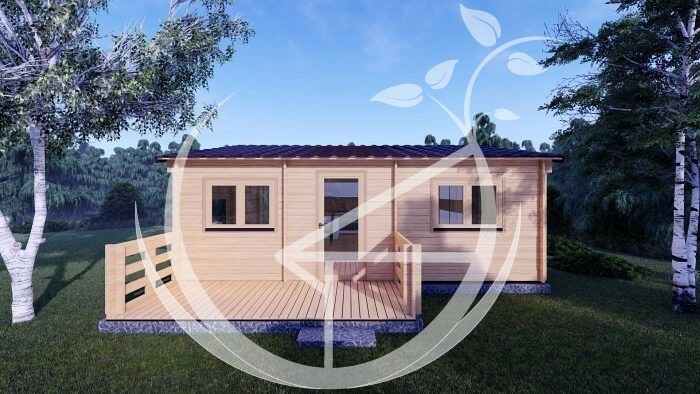 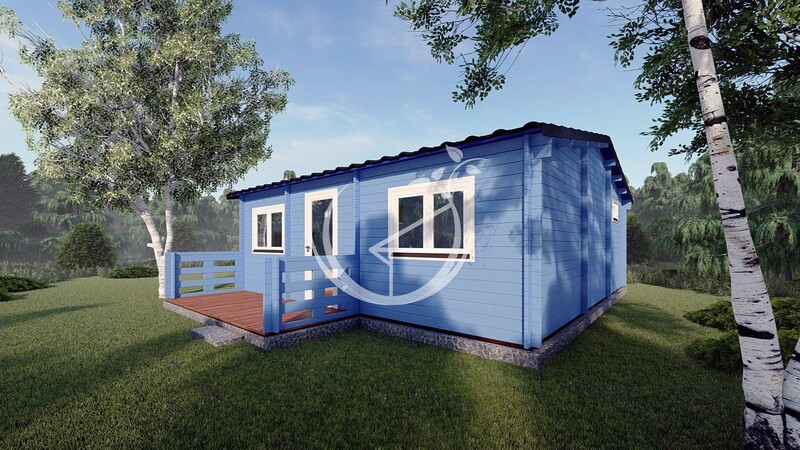 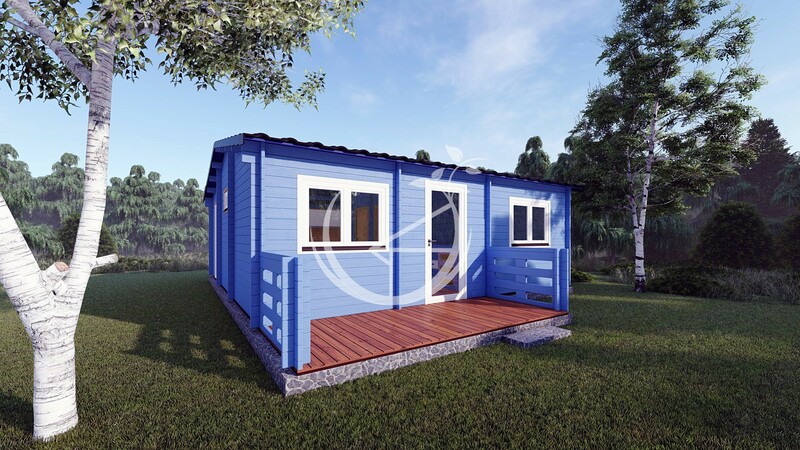 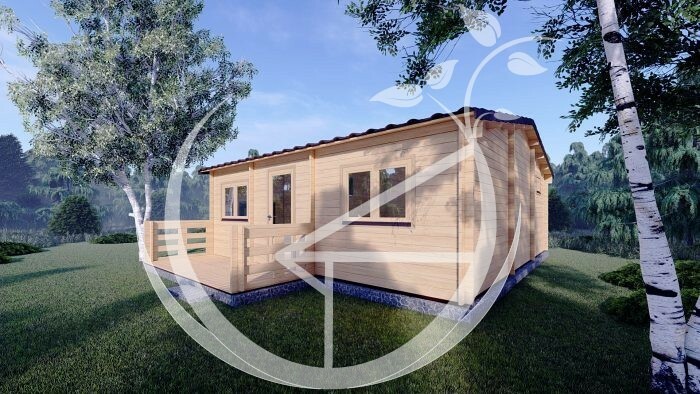 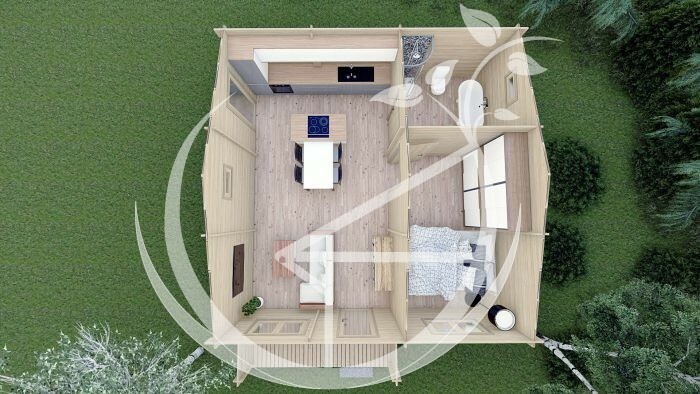 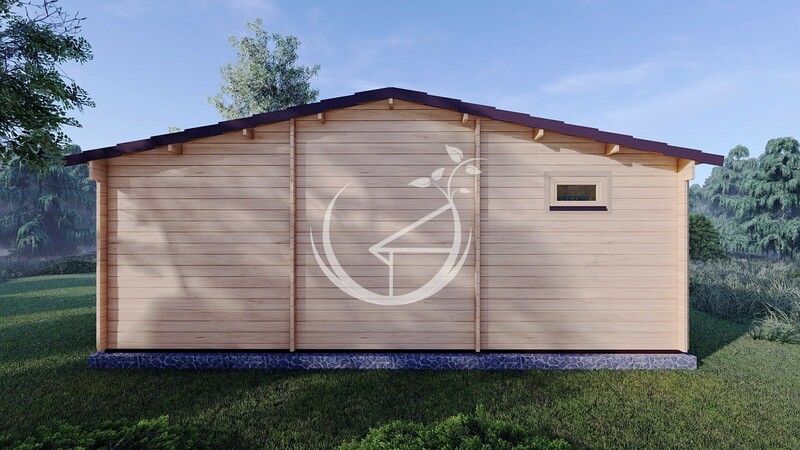 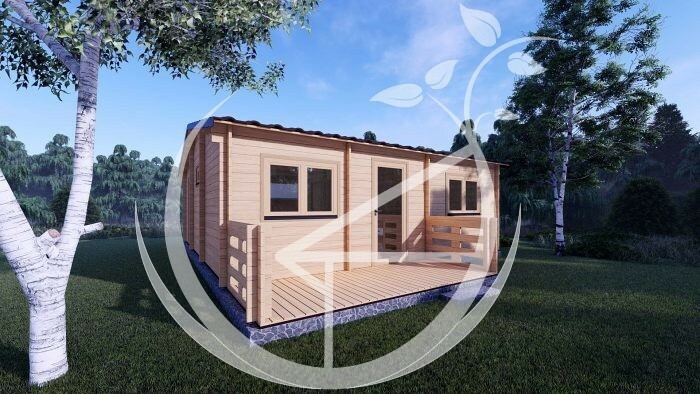 The Hakan B Log Cabin is an ideal cabin for couples, one person living or for extra living space to your existing home for a family member or as a guest bedroom. 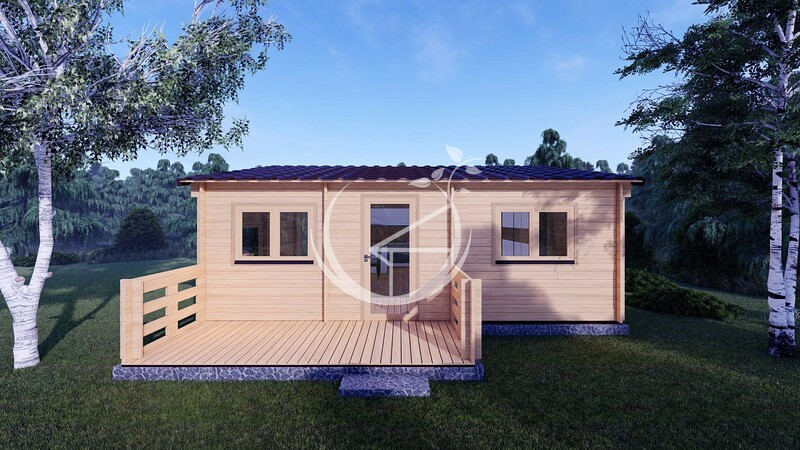 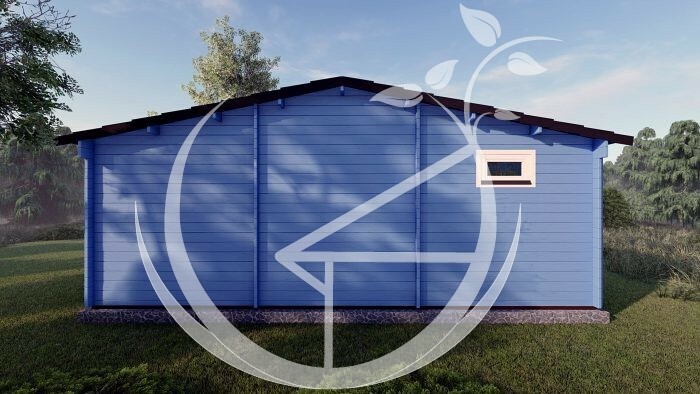 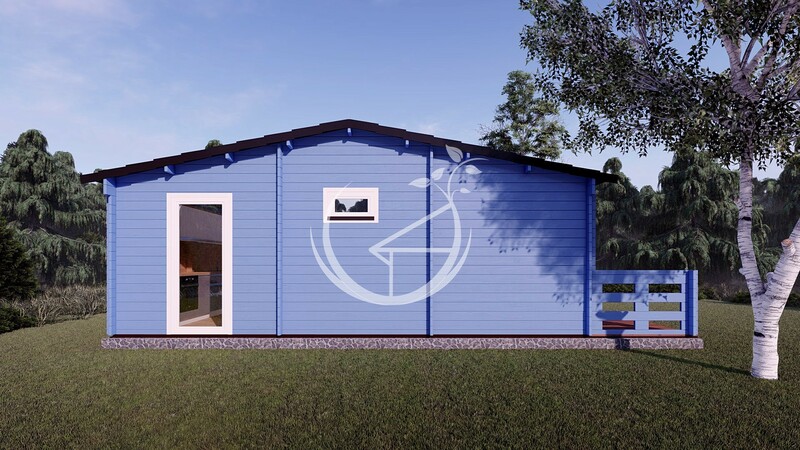 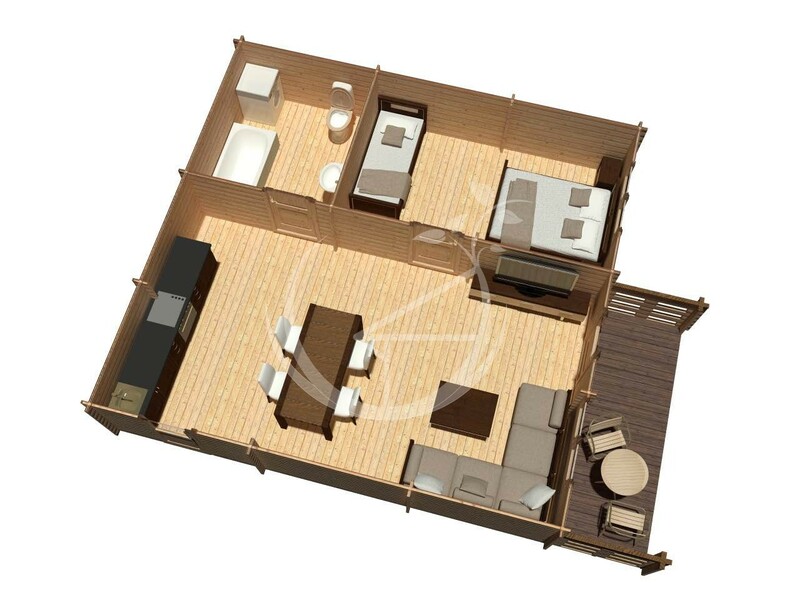 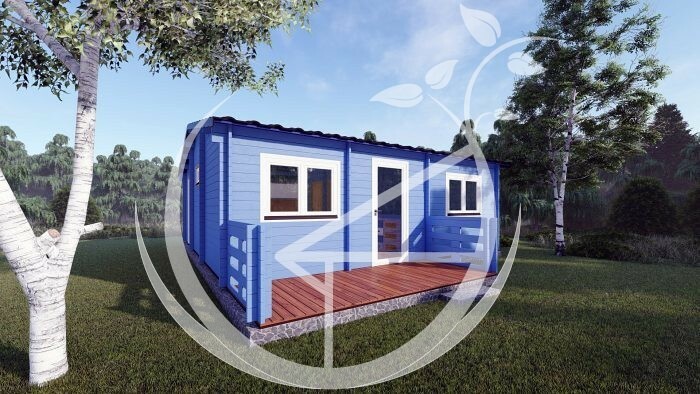 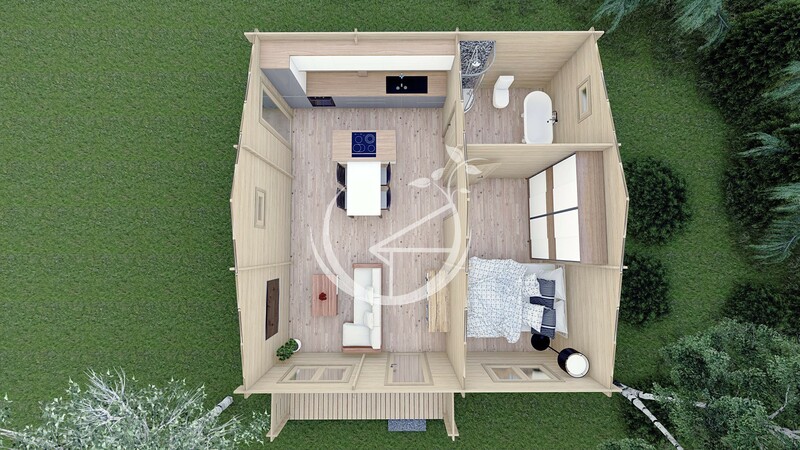 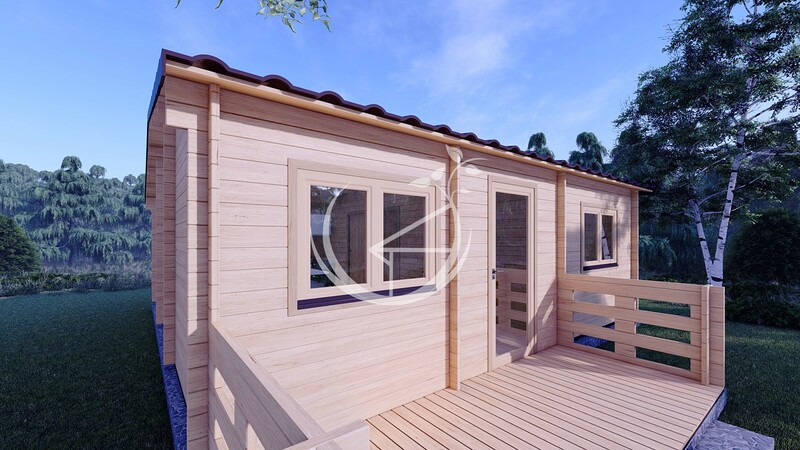 This cabin has one generous 27.6m² open plan living/kitchen space, one 11.9m² spacious bedroom to the front and one bathroom to the rear.The possibilities are endless with this cabin, part of this cabin could be used as a home office and the other half to relax in with family and friends as a bar or to use as a private gym. 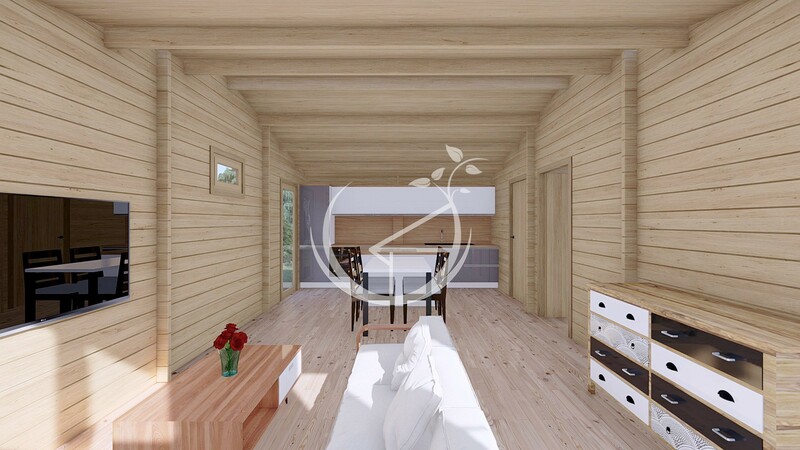 This Cabin comes with terrace included. 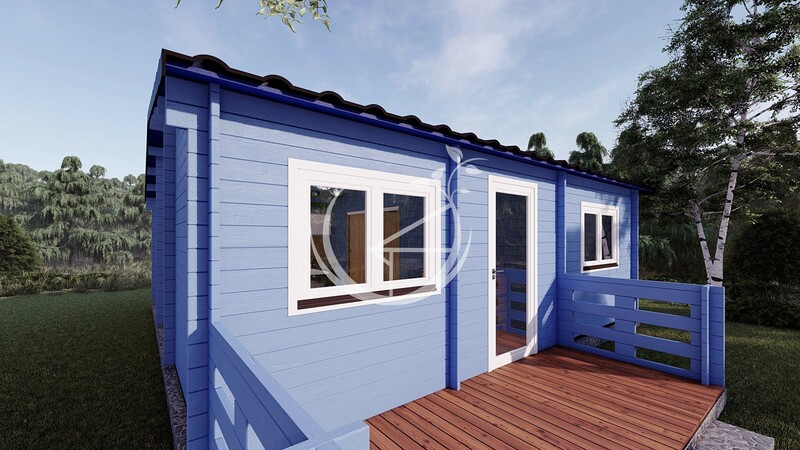 The cabin is supplied with double glazed living type windows and doors. 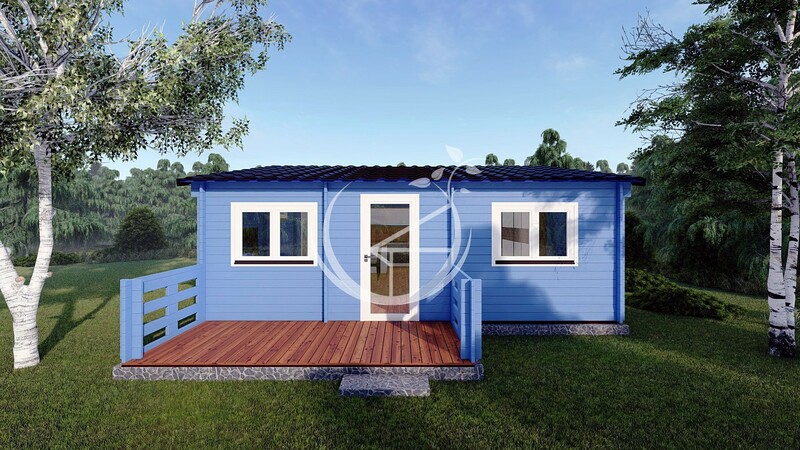 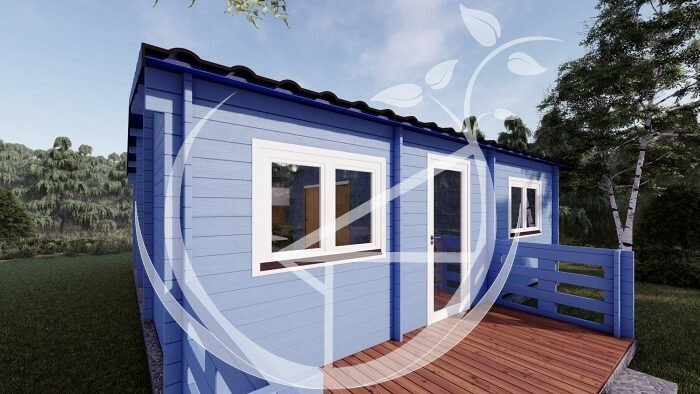 The cabin comes with bitumen shingle roof tiles as standard and can be upgraded to steel tile effect cladding with gutters and down pipes if required. 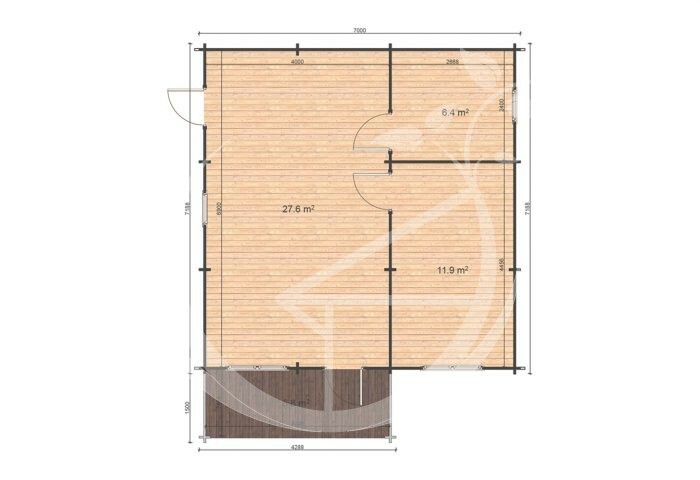 Free floor insulation is included as well.